Special Containment Procedures: All public zoos in Connecticut, Maine, Massachusetts, New Hampshire, Rhode Island, and Vermont are to be under constant surveillance by personnel at Site-85 and Site-86. Should SCP-1141 occur, the approximate nature and threat level of SCP-1141-1 is to be ascertained as soon as possible, with the nearest branch of Mobile Task Force Gamma-80 (aka "Ecologists") deployed to the zoo in question with all equipment deemed necessary. Upon arrival, MTF Gamma-80's task is to destroy SCP-1141-1 or render it inoperable as soon as possible. The use of force is authorized for this purpose. If SCP-1141-1 does not pose an immediate risk to the public, MTF Gamma-80 will purchase several food items and prevent all public access to SCP-1141-1. If this does not result in the disappearance of SCP-1141-1 within twenty-five minutes, Site Director Jackson is to be notified. Food items purchased from SCP-1141-1 are to be sent to Site-86 for further research and containment. AMN-M-4311 is to be distributed through the zoo's public address systems, mass texting services, and all relevant social and news media after the disappearance of SCP-1141-1 and the departure of MTF Gamma-80 in order to prevent dissemination of information regarding SCP-1141 and related Foundation operations. Damage to zoo property and any casualties are to be attributed to fire, vandalism, or animal escape as deemed appropriate to the situation. Should Site-85's budget allow, an anonymous donation may be made to the affected zoo to cover costs of repairs. As of ██/██/████, additional resources have been allocated to projects deemed capable of neutralizing SCP-1141, with all strictly relevant research under the purview of Dr. Eichmann. Description: SCP-1141 is a phenomenon in which an instance of SCP-1141-1 instantaneously appears at a public zoo in the New England region1 of the United States. This occurs approximately thirty minutes prior to the opening time of the zoo in question. The infrastructure and nearby structures (such as utilities, enclosures, pathways, and other buildings) will be altered to accommodate SCP-1141-1's presence, as will maps of the zoo. SCP-1141 will only occur under the following conditions. No instances of SCP-1141-1 are operational. Less than 20% of the zoo's grounds are covered in snow. The temperature has been above 15°C during operating hours for the past week. At least 250 days have passed since the demanifestation of the most recent instance of SCP-1141-1. 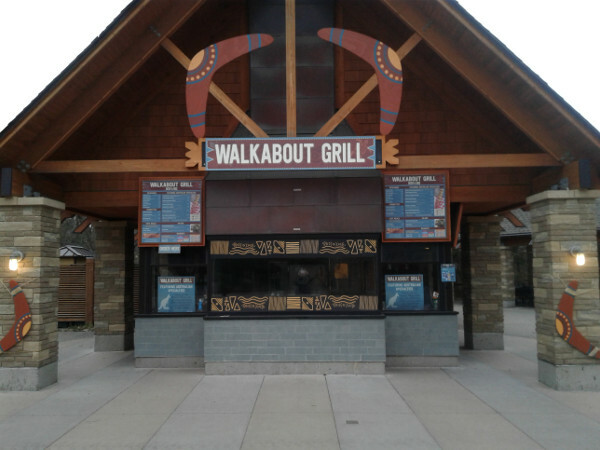 Instances of SCP-1141-1 take the form of a fully staffed, supplied, and operational restaurant that is thematically consistent with other restaurants in the zoo and with the area of the zoo in which it is located.2 Food served at SCP-1141-1 is consistent with food served at similar establishments, with the exception of each instance offering guacamole with pineapple chunks. Food and other supplies will appear as needed inside SCP-1141-1, out of view of the public. Staff of the zoo will not demonstrate any familiarity with SCP-1141-1. All individuals staffing SCP-1141-1 are anatomically and behaviorally consistent human beings, and will run SCP-1141-1 to the best of their ability. These individuals are fluent in English and knowledgeable in the operation of SCP-1141-1. They are either unwilling or unable to answer personal questions (such as identity and personal history) or questions pertaining to the nature or origin of SCP-1141. They will not leave SCP-1141-1 willingly. Instances of SCP-1141-1 have an unpredictable and often dangerous effect on their surroundings. The exact cause of this is not known with certainty; however, analysis has led several researchers to propose that instances of SCP-1141-1 do not necessarily operate under physical laws or constraints present in our dimension prior to their manifestation. See Event Log SCP-1141-1 for details. If an instance of SCP-1141-1 is rendered inoperable or if its presence causes obvious injury to a person visible from SCP-1141-1, the instance will demanifest within the next twenty-five minutes, with all infrastructure, structures, and maps of the zoo returned to their previous condition. All food items sold by SCP-1141-1 will remain, and may continue to demonstrate anomalous properties. All locations and several manifestations have been removed from this document as per Level 2-Probationary Clearance protocols. This document will serve to illustrate the effects of SCP-1141 and should not be taken as a comprehensive list of SCP-1141 events. Event: Accurate description of SCP-1141-1 could not be gained. Instance and all of its contents manifested at approximately 5000°C; despite this, it appeared to be fully functional and did not combust. The instance disappeared after its foundation crumbled, resulting in structural collapse. Fire caused by SCP-1141-1 destroyed several animal enclosures and injured four park employees before being extinguished. Event: SCP-1141-1 manifested as the "Amazon Basin Café". While the building remained intact, SCP-1141-1 appeared to experience gravitational force approximately 2.3 times stronger than Earth's surface gravity. Two orders of french fries were procured prior to SCP-1141-1's disappearance due to an inability of its staff to serve customers. Testing indicated that this food had no greater mass than comparable french fries, yet weighed 2.3 times as much as their mass would indicate. Event: SCP-1141-1 was entitled "A Grizzly Tale". The instance was found to be fully operational and not immediately dangerous. A variety of food items were purchased before SCP-1141-1's disappearance was induced by the placement of Foundation guards to prevent entry. Analysis of the food indicated that its de Broglie wavelength was approximately 1 cm, despite having a normal mass. The food has been designated as a separate anomalous item and is contained at Site-86. Event: SCP-1141-1 was not detectable aside from alterations to infrastructure. Maps of the zoo marked a restaurant called "Safari Grill". The changes to the zoo's infrastructure reverted two hours after opening, presumably when it became apparent that none of the zoo's patrons were aware of SCP-1141-1. Later records indicate that relatively frequent repairs to structures near this area have been necessary since this manifestation. Event: SCP-1141-1 manifested as "The Glacier Café". Reports and later analysis indicate that this instance of SCP-1141-1 was subject to drastically accelerated buildup of static electricity. SCP-1141-1 did not appear to be grounded; further, weather conditions at the time3 contributed to this problem. Seventeen individuals, not including the occupants of SCP-1141-1, were killed by static discharge before SCP-1141-1 disappeared. Conversation between two individuals occupying SCP-1141, recorded July 1978 via hidden microphone. The individuals in question have been identified by the names on their nametags. The conversation was held in English. Note: Special Containment Procedures at the time of the recording involved keeping a relatively safe instance of SCP-1141-1 in operation at the █████████ Zoo. Access was denied to the general public, and personnel regularly purchased food from SCP-1141-1 to maintain containment. Duane: I don't think they're actually eating the food. The maintenance people have been carrying out more trash than they were when we were scouting. Betty: So? They're still buying it. Does it matter if they eat it? Duane: I didn't get into the restaurant business in this universe to not be allowed to actually serve my food to the public, [unintelligible]. It's probably poison or something, isn't it. Or Miranda messed up the speed of light again. I can't even tell. Betty: So why don't you go talk to them and convince them to let us work? They know we won't break containment or whatever it is, right? We can talk and act just like people. Duane: And how do I convince them that it won't end up like it did in ███████? Or █████████? I swear, a tiny fraction of the ketchup is accidentally ██████████ and you can't be trusted with anything. Betty: Asking some human scientists for help is out of the question? Duane: You know they wouldn't understand anything about how we make this happen. They're still primitive. Betty: According to your standards, maybe. But if you're going to be difficult, then whatever. Honestly, your obsession with 'restaurants' and 'zoos' is kind of creepy, and a little racist. Do humans count as a race? I don't even know, honestly. I've been breathing oxygen for too long. Duane: Well, you're perfectly free to leave, if it bothers you that much. Except you can't, because you lost your travel license in [unintelligible]. So you're stuck with me and this creepy, racist restaurant until Miranda can nail down their physics good enough for us to not kill anyone. Betty: So now you care about killing humans? Duane: [Unintelligible]. Just shut up. We're leaving. SCP-1141-1 demanifested seven minutes later. Further attempts to restrict the public's access to SCP-1141-1 from that point on have resulted in SCP-1141-1 disappearing. Containment protocols have been altered appropriately, and SCP-1141-1 has been upgraded to Keter class. Addendum: Until we fully understand and can predict the properties of SCP-1141, the possibility remains that it could trigger a catastrophic event, such as an antimatter explosion or vacuum metastability event, with no forewarning. I formally recommend fast-tracking research that could be useful in producing the means necessary to neutralize SCP-1141.- Dr. Eichmann. 2. For example, an instance of SCP-1141 that manifested near a leopard enclosure was called "Leopard's Spot Snack Shack". See file photo.